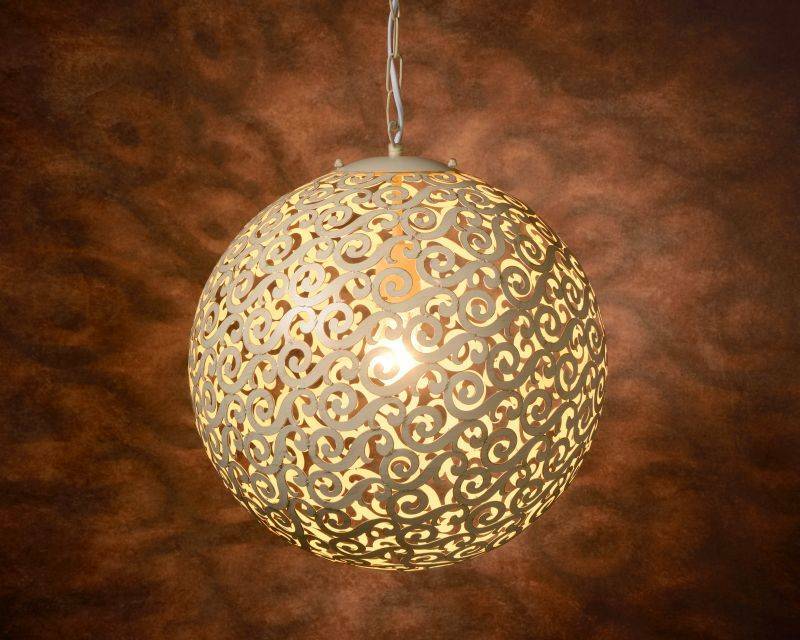 The lamp ORIENTE is a stylish lamp for the living room, bedroom, dining room, kitchen or hall. It is a ball with a beautiful oriental pattern on the outside, which gives a particularly beautiful light. 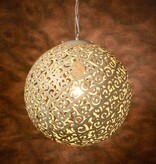 Place the lamp in the desired room and enjoy the brilliant light pattern which is left on the wall. 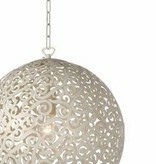 The lamp is available in white and dark brown. The lamp is made of sturdy metal.